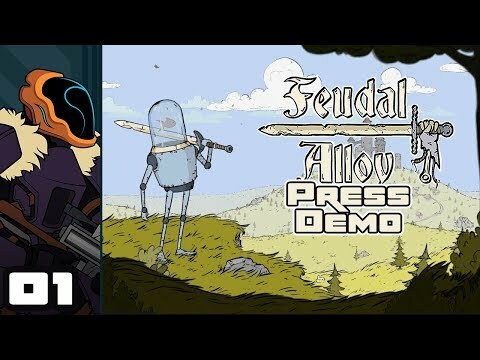 Feudal Alloy is a metroidvania action RPG with medieval robots controlled by fish! Explore the vast medieval world, destroy various mechanical creatures in order to improve your combat skills and techniques. Attu is an ordinary robot farmer living in a small house in the middle of a field of sunflowers. His life was simple, but pleasant, until the village was attacked by a band of robbers who took with them supplies of oil grease and burned down his house. Fortunately, Attu was able to escape into the forest, taking with him an old sword. Discover a huge interconnected world with a large selection of opponents, bosses, skills, equipment. Choose which way to go and which enemy to fight. Try to defeat evil and find a way home. Medieval robots driven by fish!